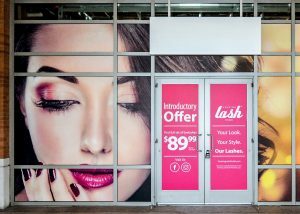 Entice potentially interested new visitors and customers with appealing window graphics showcasing your unique merchandise or services. Whether you are marketing particular items, you are looking to supply privacy for your patrons inside your facilities, or simply desire to notify your future consumers about your product blend, attractive vinyl signs and graphics get your business and brand noticed and recalled. 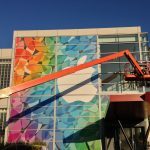 Black Parrot Sign Studio is your reliable area vinyl signage partner, developing eye-catching window graphics, decals, displays, and signs that consistently market your brand and business. Black Parrot Sign Studio fabricates promotional and informative window displays for promoting your brand. 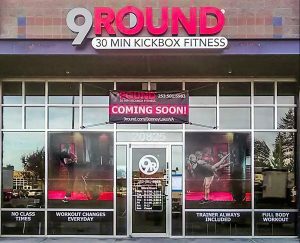 Our experienced vinyl sign and graphic designers will deliver high-quality window graphics that match your current branding, support your marketing goals, and effectively sell your services. 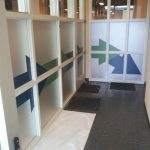 Our team works hard to generate the right sign and graphics solutions to support your business goals. We find out about your brand and business and make educated recommendations for custom signage solutions that are in-line with your brand. 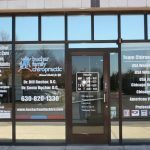 Our professionals are eager to support your business and marketing goals with custom crafted window graphics, lettering, banners, signs, wraps, and more. Retail stores have a lot of energy and effort invested in their seasonal window displays. A unique window display is designed and constructed to entice serious prospective customers inside of your shop. When you’re promoting a special promotion, sale, or event, or are looking to boost sales related to a high-margin item; branded window displays are an ideal way to do this. Normally, full window displays are updated on a monthly or quarterly basis to highlight the newest, latest goods your business offers. Black Parrot Sign Studio designs, fabricates, and installs eye-catching window signs, graphics, and displays to gain exposure for your sales events and exciting products in a high-quality way that can generate more people. Multi-office facilities, such as real estate agents, law firms, insurance brokers, counselors and therapists, service professionals, and many other company types, incorporate branded vinyl window film on their front windows for branding, promotion, or privacy applications. 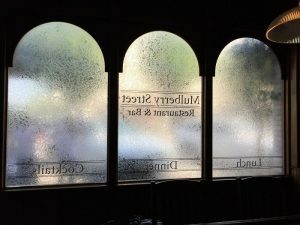 Our professionals provide privacy film that offers the same look and feel as a custom etched/frosted glass window pane, minus the cost and hassle of replacement glass panes. Introducing your logo, company name, or other business identification within your privacy film is an effective way to improve your brand and business visibility without limiting appeal. Our experienced sign and graphics experts can manufacture attractive, one-of-a-kind privacy film targeted specifically to your organization, or present samples of commonly chosen vinyl film possibilities that will work well for your brand, business, and location. Even a service provider can attract more new clients with a branded window display! 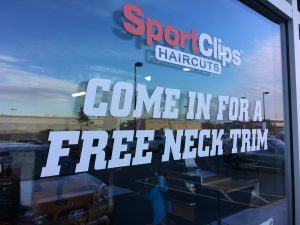 Engage more potential clients with custom graphics, lettering, banners, posters, and murals demonstrating your professional solutions, seasonal deals, or even design an eye-catching and informative display that gets your business discovered. Our knowledgeable graphics and signs fabricators consider your specific business goals to provide the right display for all of your company wants. We manage the manufacturing of all custom display elements as well as the installation of your eye-catching branded window graphics. 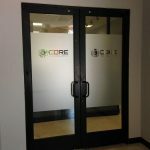 When you want an experienced window graphics partner that will develop the eye-catching, high-visibility displays your business needs, Black Parrot Sign Studio has the solutions for you. Call Black Parrot Sign Studio today at (714) 406-0939 for your Free Consultation with a Window Graphics Specialist!